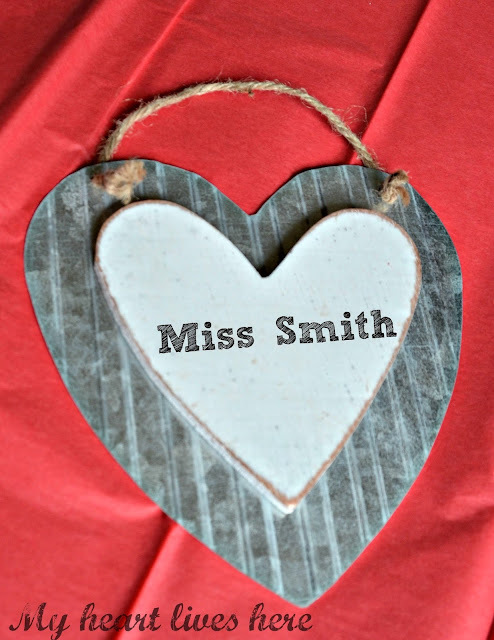 Today I'm joining the wonderful Ten on the 10th girls in sharing some Valentine's Day inspiration. It's easy to give a thoughtful yet inexpensive gift on St. Valentine's Day. Chocolate is always a great idea, but there are so many others. Here are some items under ten dollars suitable for friends, daughters, teachers, or anyone who deserves a little love on February 14th. 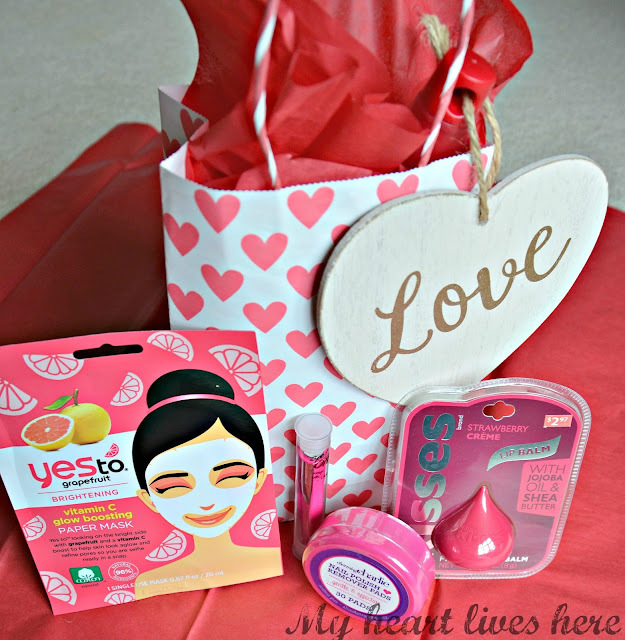 Simply pick out some red, pink, or heart shaped pampering items to include in a small gift bag (found in sets of three at Dollar Tree). AND there is not a calorie to be found in any of the ones shown below! The wooden Love tag was under a dollar at Walmart. It would be even better paired with shampoo, conditioner, or hair ties. 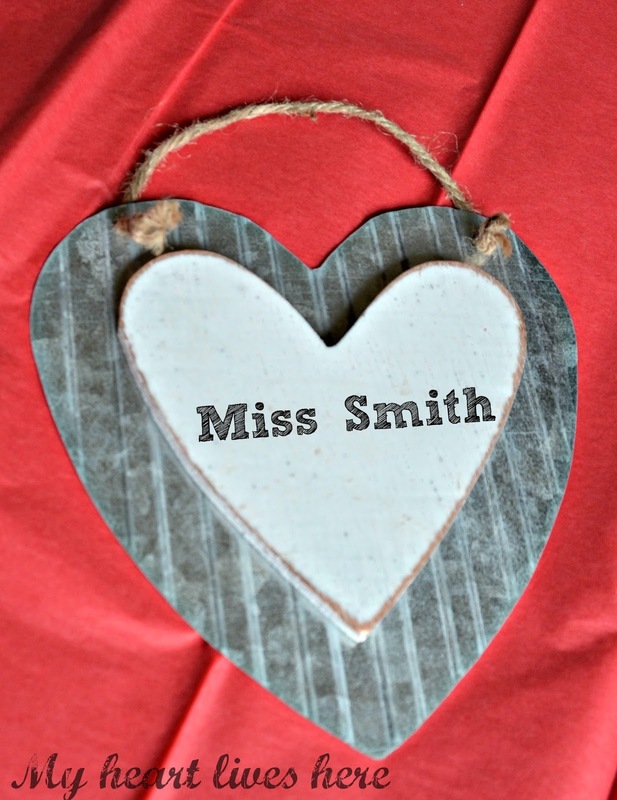 This wooden heart mounted on corrugated metal makes a cute gift tag. It could be personalized with a Sharpie marker, paint, or stickers. It was around $2 at Hobby Lobby. The leaves on this little potted houseplant look heart shaped to me. It is a Silver Pothos and was under $3 (Walmart). This is an easy plant to keep alive, too. 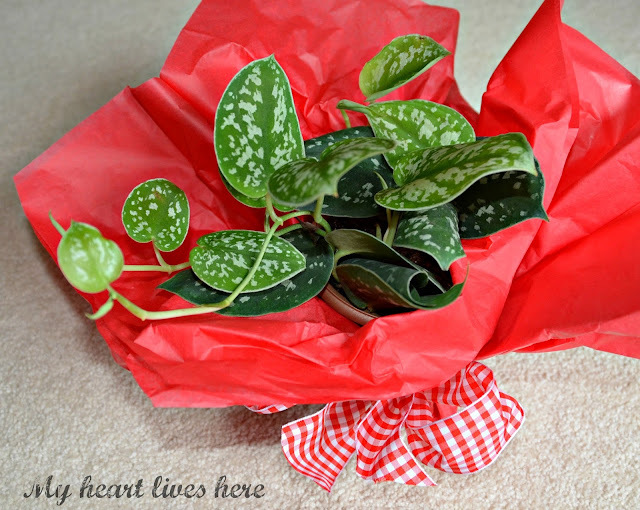 Adding a little red tissue and ribbon make it a perfect Valentine's table decoration or gift. This pretty box of peony note cards was $3 at Half Price Books. They would be perfect to give as a set or to write with uplifting Valentine's Day notes for sweet friends and family. Thanks so much for stopping by today. 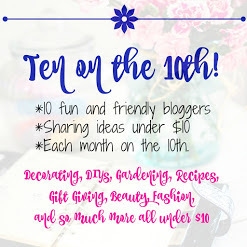 Please be sure to visit all today's inspiring Ten on the 10th posts! So many great ideas, Ellis! I love that red brush and the plant. I need hearty varieties. I think I may be going shopping today! Thanks! You always find the best things. 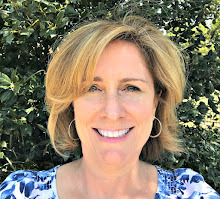 I need to follow you around :)You are a great treasure hunter Eilis. Valentines Day comes so quickly after Christmas that I'm bereft of good gift ideas. These are fabulous. Eilis these are such great gift selections that I may share it with the hubs! It's all about pampering and not a calorie in sight! The best kinds of gifts! Oh, Eilis, these are just the cutest bags and who wouldn't want to be on the receiving end! I love each and every idea. Filled with heart! Such wonderful and fun ideas! I have some sweet friends and grand girls that would love all of these pretties! Lots of sweet ideas here! Great ideas. It is always a struggle to find little Valentine's gifts at reasonable prices. 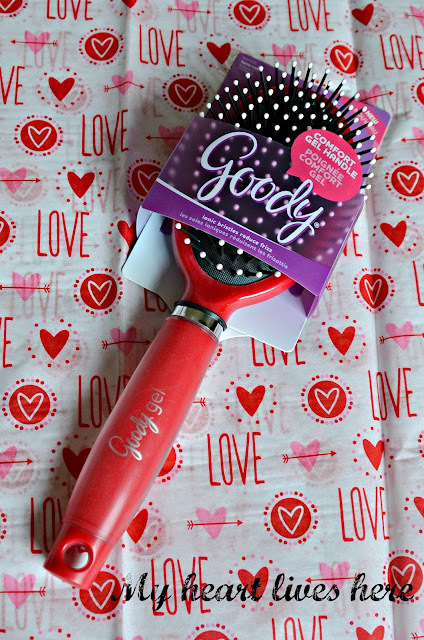 I love your idea of giving pampering gifts rather than edibles! I have grandgirls who would love some of these items. Thanks for the great ideas!